Marijuana businesses in Oregon shouldn’t expect financial institutions to suddenly open their doors to the industry if Gov. Kate Brown signs a cannabis banking bill that is currently sitting on her desk. 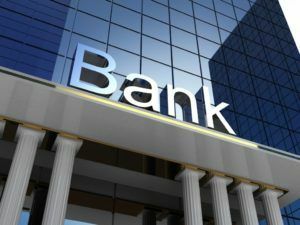 The unfortunate reality is that banks are unlikely to start serving cannabis clients until Congress or federal regulators take action to change marijuana’s status as a federally illegal drug, regardless of any changes at the state level, banking experts say. “The primary issue for our banks remains the fact that this is a Schedule 1 federally controlled substance,” said Kevin Christiansen, government affairs director at the Oregon Bankers Association. “Until that’s dealt with at the federal level, you’re not going to see a lot of movement from the banking industry, at least based on what we hear from our members in Oregon,” he added. The Oregon House and Senate both passed a bill, HB 4094, earlier this month that would exempt financial institutions from state criminal prosecution for providing financial services to legal marijuana businesses, so long as the institutions don’t violate other state laws. Gov. Brown has until April 15 to sign the measure, but she must publicly announce by April 9 if she intends to veto it. Some lawmakers and cannabis executives hope the bill will lead to banking relief in the state. Oregon attorney Amy Margolis, however, believes the measure is more symbolic in nature. “Any bank insured through the FDIC is likely to still be concerned enough to not offer banking services to cannabis businesses,” she said. Indeed, other states that have passed new laws meant to tackle the banking problem, including Colorado and Nevada, have seen little banking relief as a result of their efforts. On the bright side, though, the Oregon measure might encourage local credit unions to at least explore working with the industry, Heider said. “I do expect passage of this bill…will prompt more credit unions to study and prepare for the possibility of providing financial services to marijuana businesses,” Heider said. And while the bill may not offer the federal level protections that financial institutions are seeking, it would provide some key assurances at the state level. That could convince banks currently serving the industry to stay involved, as well as possibly encourage a few smaller institutions to roll the dice. Aside from protecting banks with marijuana business clients from criminal prosecution under Oregon law, the bill would allow financial institutions to request information about marijuana businesses from the Oregon Health Authority and the Oregon Liquor Control Commission, which regulate the state’s medical and recreational cannabis industries. That information could prove crucial to helping banks meet compliance standards. The bill also calls for a future study on state cannabis banking laws. “It’s a positive thing, because if you’re going to try and follow some of the guidance out there, this information was not otherwise available,” Christiansen said. The bill also sends a message to Congressional lawmakers and federal regulators that something needs to change. The U.S. government tried to ease the banking situation by issuing guidelines in early 2014 that essentially outline how financial institutions can work with the marijuana industry. Those guidelines, however, do not offer sufficient protections to put banks at ease about accepting cannabis business accounts. “It is just guidance first and foremost,” Heider said, noting that the Oregon bill “raises awareness” that the 2014 guidelines aren’t enough. While a small number of financial institutions knowingly have cannabis clients, most banks and credit unions are too scared to take on the risk, even with state protections. Additionally, many banks have found that the compliance guidelines laid out in the 2014 memo are too costly and require too much work and time to meet. Perhaps the most unsavory compliance stipulation is the requirement that financial institutions opening an account for a cannabis client must file a Suspicious Activity Report. Some banks worry that filing such reports also hurts their ratings. The lead sponsor of the Oregon bill, State Rep. Tobias Read, acknowledged that the measure is not a sufficient answer to the marijuana banking problem, but still said the action is necessary. With the recent movement at the U.N. potentially easing federal worries of breaching international treaties and more states raising awareness we could finally see a breakthrough in the banking nightmare that has plagued the industry.